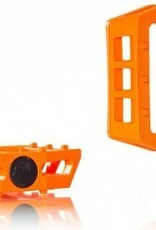 Nylon plastic body with 10 square molded pins for added grip. Concaved horizontally to grip the sole of your shoe better and for added comfort. Also features a solid heat treated CRMO spindle. 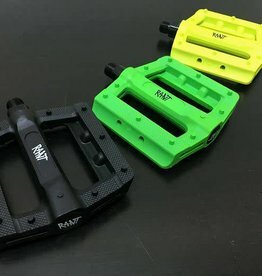 Super slim reinforced nylon composite BMX pedals ! 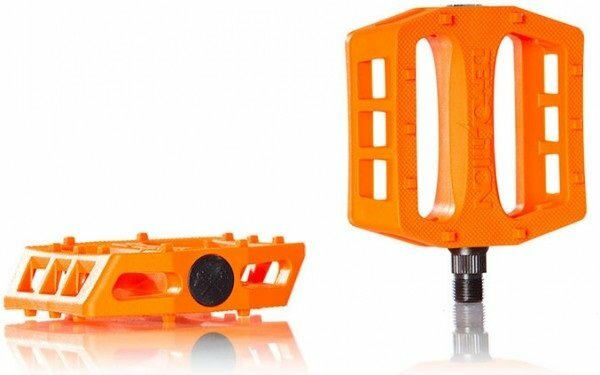 Rant Hella BMX Pedals 9/16"
One of the most successful and popular BMX pedals !